Spring is around the corner, which means tryout season is coming. You’ve been working out all off-season, and you’re ready to tryout for that dream team. I don’t pretend to be an expert in tryouts, but I have been around DC Scandal tryouts for the last 6 years, as a rookie, a returner, and a captain. 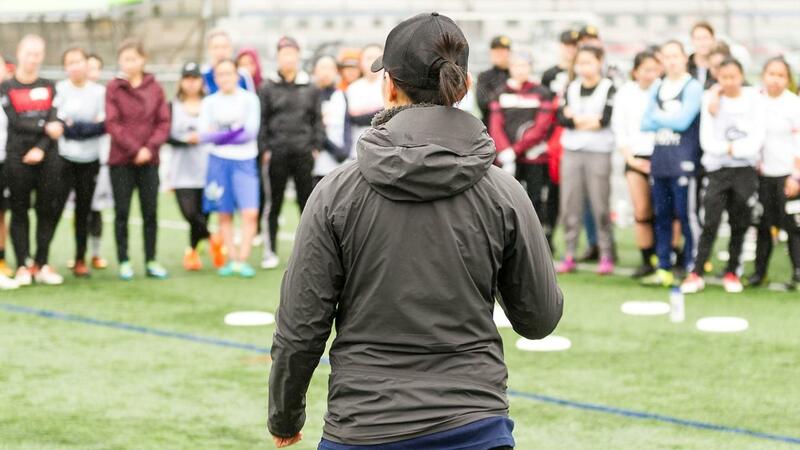 Here are a few tips to make the most of your tryout this year. 1) Know your strengths and weaknesses. Before tryouts start, do some self-reflection. Know your strengths, and put those on display. Know your weaknesses, and don’t use tryouts as a chance to take risks on them. Can out-run most defenders? Set up deep cuts over and over. Flick hucks are only so-so? Holster those during scrimmage. It goes without saying, but if you’re in shape, you’ll still be bringing your A-game at the end of the 3-hour tryout when others might be starting to fade. Want to make sure your cutting is as sharp in the last point as it is in the first? Try our free 6 week SAQ program! 3) Be a responsible human being. This should go without saying, but answer emails, RSVP, and SHOW UP. In the early stages of tryouts, Scandal has had over 90 women interested in playing for us. When someone RSVPs that she’ll be at a tryout event, and then pulls a no-show, we may decide it’s not worth the hassle to chase her down. We’re looking for people who are going to be committed to our team, and won’t miss practices. Set that tone in tryouts. Have a conflict? Send an email (in advance!) and ask about exceptions. Most team leaders are reasonable and will work with you. 4) Be a little extroverted. 5) Be the teammate you would want to have. Help set the tone of the sideline - cheer on great plays, give up calls or marking help, and high five your prospective new teammates. In other words, be the kind of teammate that a team wants to add to the roster. Besides your on-field abilities, you’re being evaluated for what you’ll contribute to the team, your attitude, teachability, and all the intangibles. Conversely, don’t be the kind of person who people don’t want on the sideline with them. Keep any rude comments you may have to yourself, and don’t cut down other players, just because you think the leadership isn’t in earshot. 6) Remember you’re constantly being evaluated, whether the captain is there or not. Especially when we’re trying out for a team that may feel out of reach, it’s easy to play timid. We look around and think, “Oh wow. These people are so much better than me. I’ll let Player X cut first, and wait to be the continuation.” Or, “I’m not sure I’m good enough to pick up the disc… I’ll let that returner do it.” All of a sudden, you’ve gone through a whole tryout without putting yourself in the spotlight. When the season comes, it’ll be time to be a role player. But if you stay in the shadows through tryouts, no one will know what you could have brought to the team. The best way to impress a team is to go into a scrimmage and play stifling defense against a returner. When I was giving feedback on tryouts to our leadership team, I could always name the players who defended me well and who didn’t. I can still remember the year a new tryout got a block on one of our star players. That play alone solidified in my mind that she should be considered for a roster spot. 9) Be gracious in rejection. The hardest thing for captains to do is to write rejection emails. You may get a form email, or you may get an email with some more specific feedback, depending on the team. If you’re interested in trying out in the future, it never hurts to reach out and ask for feedback so that you can continue to grow. About the author: Kristin Franke has been playing ultimate since finding a pickup game at Valparaiso University in 2004, and helping lead their first team “Something of Fury”. She has played for Hong Kong Junk (2007-2012), and DC Scandal (2013-2018), and was a captain for both teams.